Furthermore, in view of the stalemate at the UNFCCC and the unlikelihood of the emergence of a cap-and-trade global market in 'forest carbon', international donors are increasingly worried that whatever forest set-asides are achieved under the national REDD+ programme are unlikely to be sustained without a continuing stream of financial rewards to investors and scheme operators. 'We are concerned that REDD+ pilots schemes are just unsustainable enclaves that have little connection to, or influence on, wider land use plans. Without urgent action to secure local peoples' control of such areas, these schemes will just fizzle out when the donors leave' says Marcus Colchester of the UK-based Forest Peoples Programme. 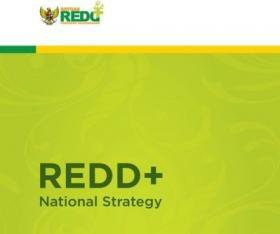 The National REDD+ Strategy is available in English at http://www.satgasreddplus.org/download/150612.REDD+.National.Strategy.Indonesia.pdf and in Indonesian at http://www.satgasreddplus.org/download/180612.Strategi.Nasional.REDD+.pdf. See 'Saving Indonesia’s Remaining Forests Can No Longer be Delayed' by the Coalition for Saving Indonesian Forests and Global Climate, 28/Jan/2013. Draft 3 of the National Action Plan is available in Indonesian at http://www.satgasreddplus.org/download/Draft_3_RAN_REDD+_12Des2012.pdf. See Daemeter Consulting: ‘Constitutional Court Decision on Indonesia’s Forest Zone Could Lay Groundwork for Sustainable Low Emissions Development’ at http://www.daemeter.org/news/constitutional-court-decision-on-indonesias-forest-zone-could-lay-groundwork-for-sustainable-low-emissions-development/and also ‘Indonesian CSOs call to save Indonesia’s remaining forests’, DTE 95, March 2013, for more background on the Constitutional Court’s decision and its implications.